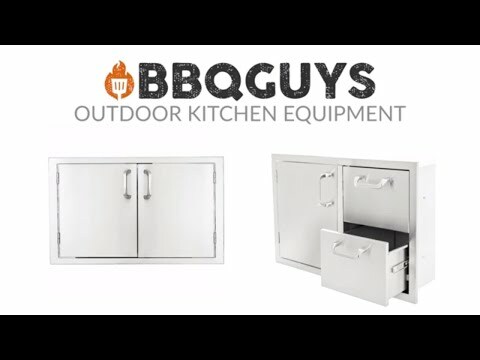 This BBQGuys Single Access Door features commercial 304 grade, stainless steel construction, and a 20 gauge steel frame, external flag hinges for easy removal, and a 4 brushed finish. The door features a lock for securing valuables in your outdoor kitchen. Door is flush-mounted and hinged on the left. An Access Door is the perfect outdoor kitchen accessory for any outdoor BBQ island. This item is a special order from the manufacturer and will take additional time for completion. This access door does not include installation hardware or instructions.